"Enjoy spending a few days here." Have a question for Casablanca Suites? "My family enjoy the hotel experience." "Good and clean place for stay near airport"
Situated in Ilawod, Casablanca Suites is the perfect place to experience Legazpi and its surroundings. 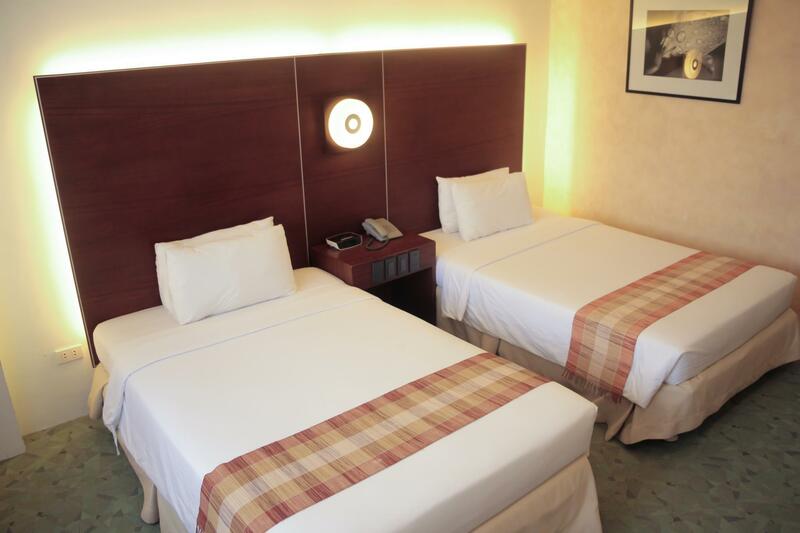 Only 1 km away, this 3-star hotel can be easily accessed from the airport. Also within easy reach are St. Raphael Church, JY Minimart, SM Savemore. 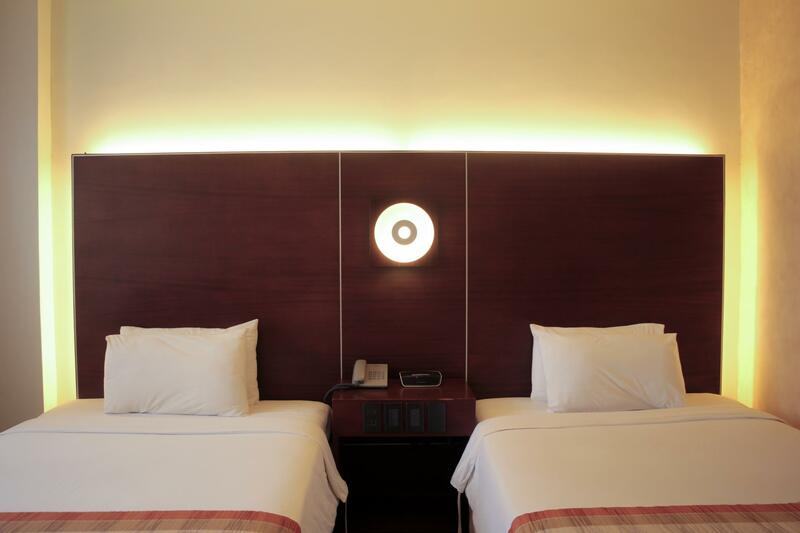 Take advantage of a wealth of unrivaled services and amenities at this Legazpi hotel. Top features of the hotel include 24-hour room service, free Wi-Fi in all rooms, 24-hour front desk, facilities for disabled guests, express check-in/check-out. The ambiance of Casablanca Suites is reflected in every guestroom. television LCD/plasma screen, internet access – wireless (complimentary), non smoking rooms, air conditioning, desk are just some of the facilities that can be found throughout the property. Besides, the hotel's host of recreational offerings ensures you have plenty to do during your stay. Whatever your reason for visiting Legazpi, the Casablanca Suites is the perfect venue for an exhilarating and exciting break away. Hello Ms. Ann, Greetings from Casablanca Suites! We are glad that you have enjoyed your stay with us. Rest assured that we will continue to improve our services. We hope to see you again. Thank you. Despite the absence of an elevator or escalator, going up the stairs was not that hard. Friendly and accommodating staff, fair-sized rooms with a view of Mayon Volcanto. Basically, a pleasant stay. Affordable. Clean. Friendly and accommodating staff. No fuss. No airs. Easy enough to get a ride from the hotel though we booked a private cab to tour us around during our stay. Restaurant had good food and good coffee. Recommendable. Kudos to Mr. Soyid (Operations Manager) & the rest of the personnel at the Front Desk & restaurant (breakfast area) for being very helpful and accommodating even prior to our stay. Weeks before we checked in, they adhered to our request for a room near the stairs (they don't have an elevator), and for the breakfast menu choices to be sent via email. The Front Desk personnel also printed our flight boarding passes, making our trip back to Manila a breeze amidst the Holy Week rush at the airport. The hotel upgraded my accommodation from superior room to deluxe room with a very nice view of Mayon Volcano!!! I am very happy and my husband was very satisfied! Breakfast was delicious too! Hello Rakel, Greetings from Casablanca Suites! We are happy to know that you have enjoyed your stay with us. We hope to see you again soon. Thank you. Greetings from Casablanca Suites! We are glad that you have enjoyed your stay with us. We hope to see you again. Thank you. Hello Ms. Gilda, Greetings from Casablanca Suites! We are glad that you had a good stay with us. We hope to see you again. Thank you. Pros: Air conditioning is cool. Beds are comfortable. Rooms are clean. There's hot water & strong water pressure. Near places to eat. Near Mayon. Staff very friendly. Cons: Breakfast needed more variety & taste could be improved. Staff was great though!! Very friendly staff, good view of the volcano, close to the airport. Breakfast is ample and well cooked, but can take a while to arrive and no second cup of tea offered. Great laundry service and priced well. Would prefer if there was a kettle in the room, you call down and they deliver you a teapot of hot water. Wifi worked well even in the room. Would I stay again yes its okay for a short stay.. Very good. Our flight back to Manila was cancelled and so we called the hotel and asked to be picked up again, talked about the possibility of booking 3 rooms for us for the night if we are unable to book our trip back to Manila by bus. They were very accommodating and helpful. We were able to get tickets for the bus and we were invited to stay at the hotel lobby while waiting for the time to take the bus. We had an early dinner at the hotel and since it was Valentine's Day, they gave complimentary cupcakes to the children. Later the van took us to the bus depot. It really felt like home to us. Our stay was fantastic. However, the Agoda booking was not thorougly prepared upon our arrival. They tried to charge us for the extra bed even if we already paid for it in Agoda. And the rates online are ~300 pesos more expensive than the actual published rates. Good location. Great food. Nice staff. We enjoyed our stay at the hotel. The location was near the airport and they had free service to and from airport so really convenient. The room was carpeted, clean and comfortable. The CR was really nice. The room was big with a view of Mayon Volcano. The food at Kamias Restaurant at the ground floor was awesome. I love the Pili bibingka with avocado ice cream. 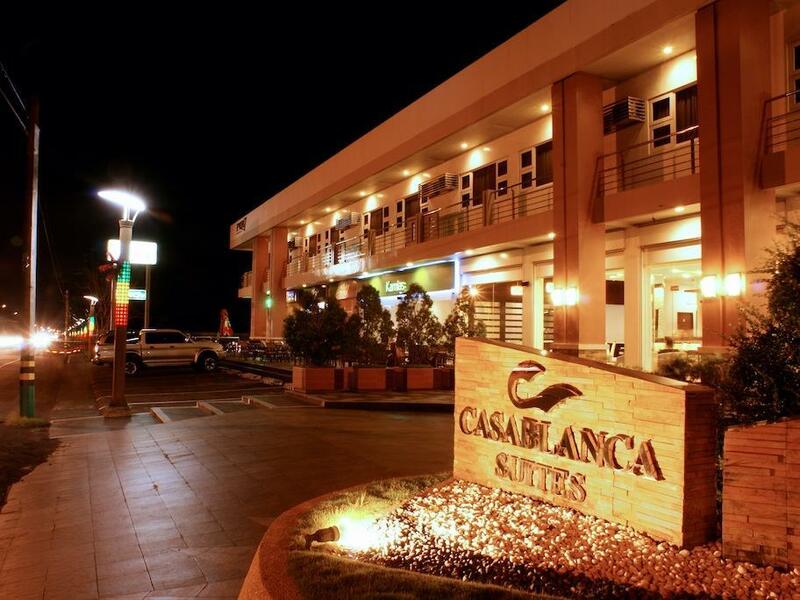 Over-all I'd love to stay at Casablanca again when we visit Legazpi. Definitely a great place to stay in. Nothing special in this hotel, beside the great view of mt. Mayon you get for "free" from your window. Room was OK, "Italian" restaurant near by was also OK.
Hello Amir, We highly appreciate your review for us to improve our system. We are looking forward to see you again on your next visit. Thank you. This hotel is all about location, that's all it is.